Your metabolism can play a role in weight gain by influencing the amount of energy your body needs at any given point. Excess energy is then stored as fat. Don’t be too quick to blame a ‘slow metabolism’ for weight gain as better food choices and exercise have the biggest impact. The biggest component of your metabolism, (50-80%) of the energy used, is your basal metabolic rate (BMR), which is the energy your body burns just to maintain functioning at rest. 2. Age. As you get older, your metabolic rate generally slows. This is because of a loss of muscle tissue and changes to hormonal and neurological processes. During development children go through periods of growth with extreme rates of metabolism. 3. Body size. Those with bigger bodies have a larger BMR because they have larger organs and fluid volume to maintain. 4. Gender. Men generally have faster metabolisms than women. 5. Genetics. Some families have faster BMR than others with some genetic disorders also affecting metabolism. 6. Physical activity. Exercise increases muscle mass and powers up your metabolic engines burning kilojoules at a faster rate, even when at rest. 7. Hormonal factors. Hormonal imbalances such as hypo & hyperthyroidism can affect your metabolism. 8. Environmental factors. Environmental changes such as increased heat or cold forces the body to work harder to maintain its normal temperature and increases BMR. 9. Drugs. Caffeine and nicotine can increase your BMR whilst medications such as antidepressants and steroids increase weight gain regardless of what you eat. 10. Diet. Food changes your metabolism. 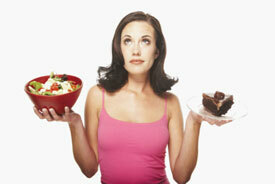 What and how you eat has a big influence on your BMR. This list shows us that some things you can change to alter your BMR and some things you can’t. The good news is that you can do plenty to alter the balance. Chiropractic principles tell us that working to create a body that works well without interference will powerfully affect health. The food, exercise and activity choices that we make can also increase BMR and reduce interference to the nervous system allowing your body to thrive. A win-win situation.